With the increasing importance of purpose in business (at last! ), not to mention the onus on leaders to run businesses that are responsible and sustainable (in all its senses) and for their organisations to reflect society’s diversity, comes a need for leaders to look and act beyond the corporate walls. 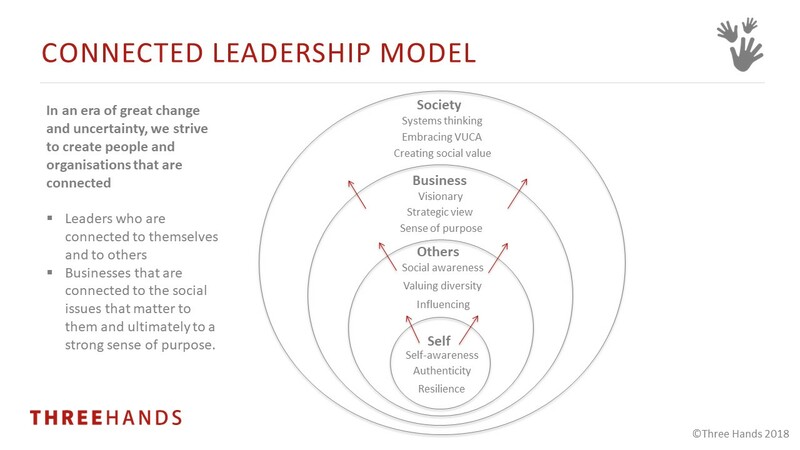 Our model is a simple representation of the increasing sphere of influence for today’s leaders; a reference point for them – and those with a remit to support their development – to help keep them focused on what matters most and to help them achieve great outcomes for themselves, others, the business and society. We apply this thinking particularly to our People work, which is about developing talent from graduates to senior leaders.